Ring-tailed lemur (Lemur catta) in a thorny octopus tree (Alluaudia procera). All lemurs are endemic to Madagascar, where they evolved in isolation from other primates after Madagascar became geographically isolated from Africa. 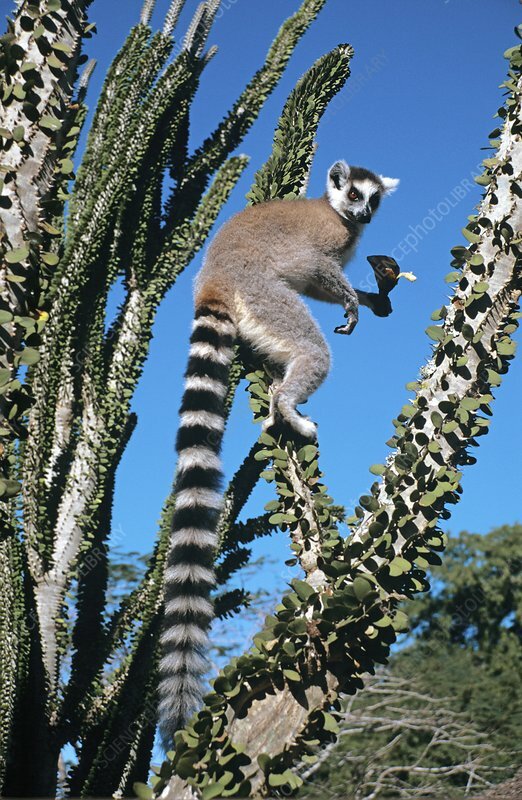 The ring-tailed lemur's body can measure 46 centimetres in length. It feeds on fruit, leaves, seeds and occasionally insects. The thorny octopus tree is an endemic desert-adapted tree found in southern Madagascar. Photographed in south-eastern Madagascar.